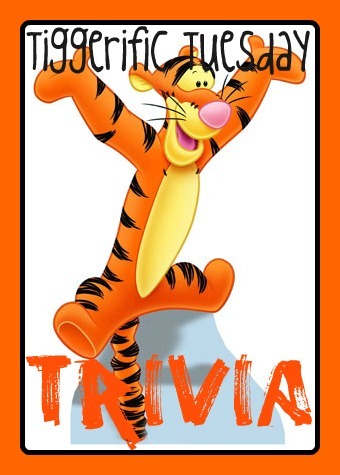 Welcome back to another Tiggerific Tuesday Trivia everyone! Along with my pals Jodi from Magical Mouse Schoolhouse, Jenn from Disney Babies Blog, and Heidi from Heidi’s Head, I’m Mike from My Dreams of Disney, here to share some fun little Disney Trivia! We love creating these posts for you, but we also love reading the trivia that you all come up with! Last week we had some great contributions to the collection, so keep the momentum going this week, and thanks! This week, we are pulling from two resources for some great Disney trivia. The first is This Day in Disney History. Now that you have seen that little Did You Know segment, let’s also dive into the book that Mr. Smith wrote, Disney Trivia from the Vault: Secrets Revealed and Questions Answered, and get a second trivia tidbit for you! It’s a ROGO (Read One, Get One) sale! Did You Know: That there have actually been three babies born at Disneyland?! The last time that happened was in April, 2002. Can you imagine being born at Disneyland or Walt Disney World?! How crazy would that be, but for the child, imagine that story to tell your friends! Well, I’m probably an idiot, but I think that would be kinda cool to have a baby at a Disney park! LOL Cool fact, especially since I’ve recently been in touch with Dave – what an interesting guy! Both very cool facts! That would be quite a story to tell for generations to come! Thanks for co-hosting! Thanks Jodi! I am really enjoying these weekly runs! oh my- delivering AT the parks??? wow. Haha that would quite a story and must be quite an experience to go through!! Previous Post: Once Upon A Time: What twist will Cora bring to Storybrook? Next Post: Best Three Rides at the Magic Kingdom with Disney’s Cheapskate Princess!